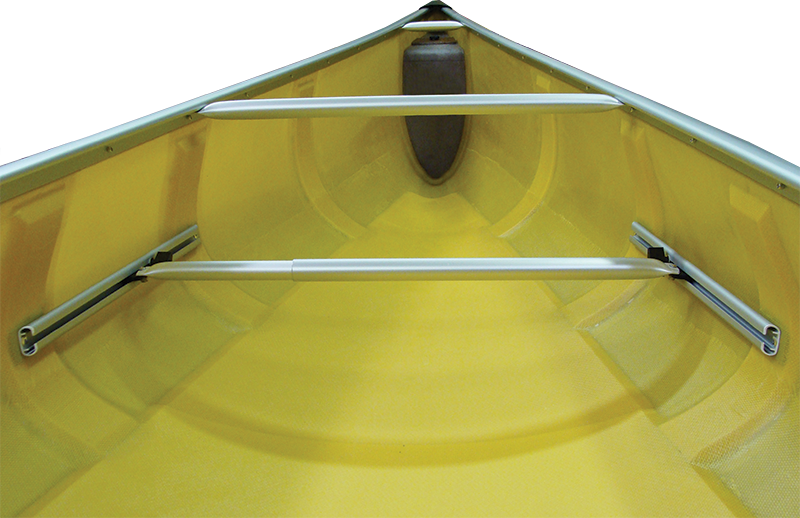 All-aluminum trim with silver gunwales, thwarts and handles are standard on most composites. 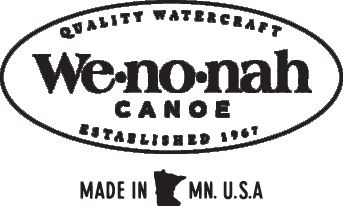 Black anodized aluminum can be substituted at an additional charge on canoes shorter than 19'. 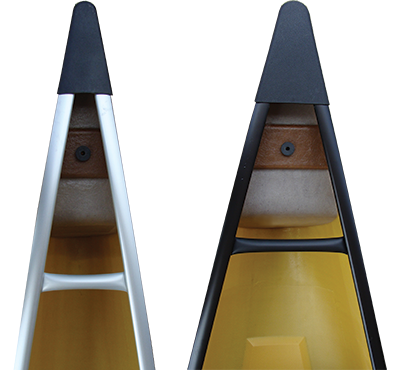 *Note: Black trim comes standard (no charge) on Graphite Ultra-light canoes. All tandem models come standard with our ash yoke. The standard and supremely reliable yoke featured on all tandem canoes. Ultra-strong with yoke with foam pads for complete comfort and dependability. Additional charge applies. The ultimate finishing touch for your composite canoe. Yoke pads are not recommended with this sculptured composite yoke. Additional charge applies. Published weight-bearing capacities are misleading for a number of reasons, so we don't print specific figures. Instead, we say that all Wenonah hulls have reserve capacity for their intended use. If capacity is critical, we suggest you load the hull with the intended weight and test it. 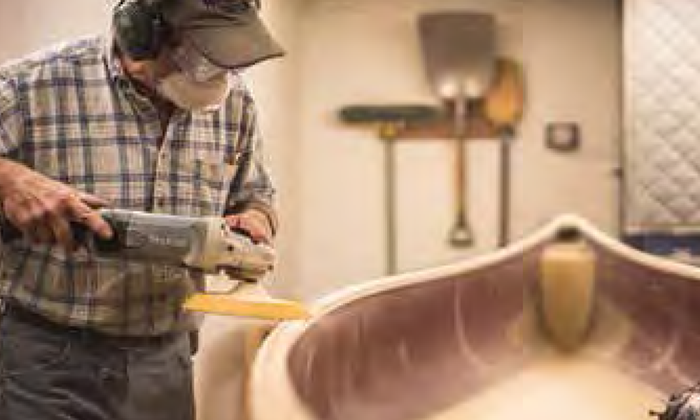 Because every canoe we make is handcrafted, weights may vary slightly from the stated figure with standard equipment. Wood trim, sliding seats, foot braces and optional gel-coat finish ADJUSTABLE FOOT BRACE will change the weight. All hulls have flotation to keep them afloat in the event of capsize. Most composite hulls have sealed air tanks in the bow and stern. Our infinitely adjustable aluminum foot brace provides solid leverage for performance and comfort. A simple turn of the knobs locks and unlocks the cross bar, allowing it to be slid into your personalized position. 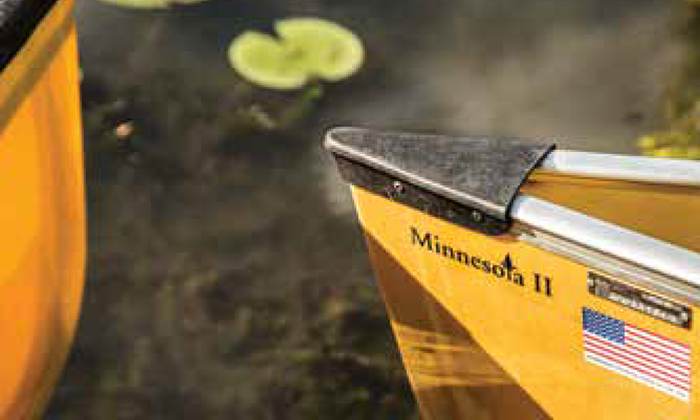 Foot braces are standard on all composite tandem canoes 17' and longer (except the Boundary Waters) as well as all composite solo canoes (If not standard).